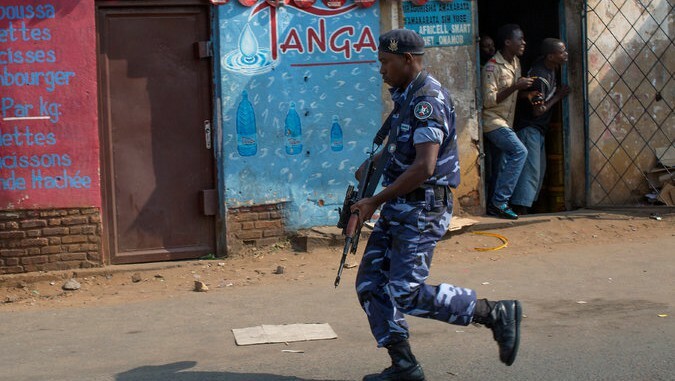 NAIROBI, Kenya — Security forces and their allies in Burundi have beaten people with rocks, bricks, gun butts and iron bars; they have abducted suspects and extorted money for holding them; and they have buried victims in mass graves, a leading human rights group said on Thursday. According to a report from Human Rights Watch, the group that made the claims, the violence is deepening and becoming more sinister in Burundi, a small Central African country that has been embroiled in a political crisis for nearly a year. “Government forces and the ruling party are treating suspected opponents with extreme cruelty and viciousness,” said Daniel Bekele, the executive director of the Africa division of Human Rights Watch. The government in Burundi has denied targeting innocent civilians and has said that the only people who have been detained or killed have been “enemies.” At the same time, opposition forces have been waging their own war, attacking government bases and killing supporters of the governing party. Burundi erupted in protests and violence last spring, when its president, Pierre Nkurunziza, decided to run for a third term, a move that opponents said violated constitutional term limits. Mr. Nkurunziza disagreed, and later he won an election that Western observers said was deeply flawed. Like neighboring Rwanda, Burundi has been haunted by a history of bloodshed between its two largest ethnic groups, the Tutsis and the Hutus. Recently, the violence has become more ethnic-based and potentially explosive, witnesses said. Burundi’s government is led primarily by Hutus. Many of the recent victims, who even include cadets at the government military academy, have been Tutsis. The United States and European countries have imposed sanctions on several Burundian officials in an effort to prevent more atrocities, to little effect. This week, the United Nations secretary general, Ban Ki-moon, visited Bujumbura, where he met with Mr. Nkurunziza, who agreed to release 2,000 prisoners. On Thursday, several African leaders, including South Africa’s president, Jacob Zuma, traveled to Burundi to press Mr. Nkurunziza to negotiate with the opposition. In the past, Mr. Nkurunziza has said that he is open to dialogue, but he has made few concessions. The African Union has threatened to send a well-armed peacekeeping force to re-establish order in Bujumbura, a proposal that Mr. Nkurunziza has also opposed.